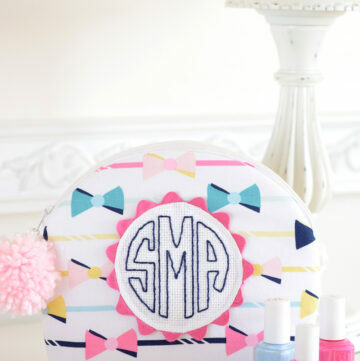 Welcome to Sewing School! Today we are going to learn How to Sew a Zipper. Are you excited? 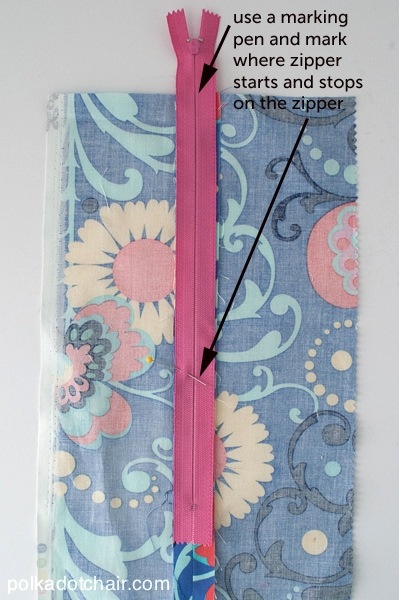 I’m going to help you conquer your fear of zippers with this simple and easy zipper sewing technique. I’ll have you sewing a zipper in no time flat! The lesson today is part of my “Sewing Lessons” series. 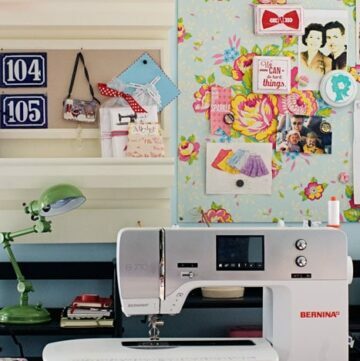 A series of posts designed to help beginners learn how to sew. It’s broken down by projects. So just pick a project that you’d like to try (by clicking HERE). I think the best way to learn how to sew is just to DO IT! Tackle a project!! 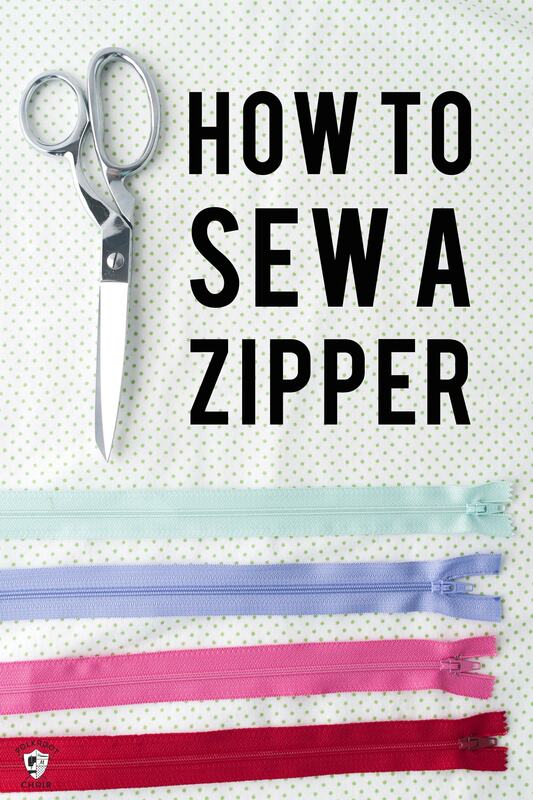 Sewing a zipper may seem like a daunting task and it’s not uncommon for someone to have a “fear” of zippers. However, I’m going to try to demystify the process a bit for you. A zipper is just a piece of fabric, placed between two other pieces of fabric. If you just think of it that way, instead of as some crazy contraption, I think you’ll understand the process a bit better. 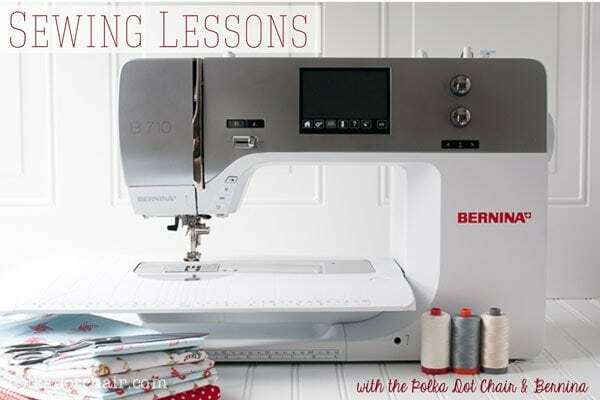 Just a note, all of the instructions today will be based on using a Bernina 710 machine, but you can use ANY brand sewing machine and follow the SAME directions. 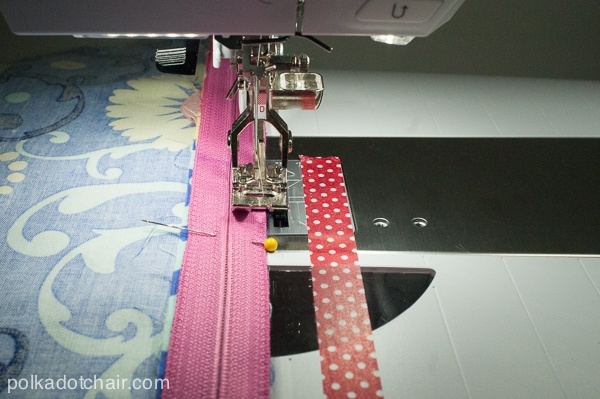 I will say things like “adjust your stitch length to 6”, if you don’t have the same sewing machine as me, you’ll just need to know how to adjust your stitch length. If you’re not sure, pull out your user manual. This zipper sewing technique is one that I picked up in a class at my local sewing shop, the Smocking Shop. They have a masters class and this was featured as one of their mastery techniques. They have graciously agreed to let me share the technique with you here today. This technique might be a bit different than one that you have learned in the past, I think this one so much EASIER than how I learned to put in a zipper originally. 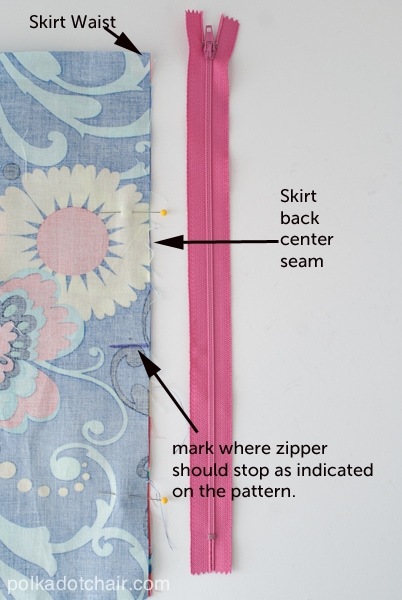 For teaching purposes, I’m going to show you how to sew in a zipper on a skirt. STOP being scared of zippers! Your fear is going to hold you back more than anything. Try it, if you fail so what. You can unpick it and do it again. You’re only going to learn this by DOING. 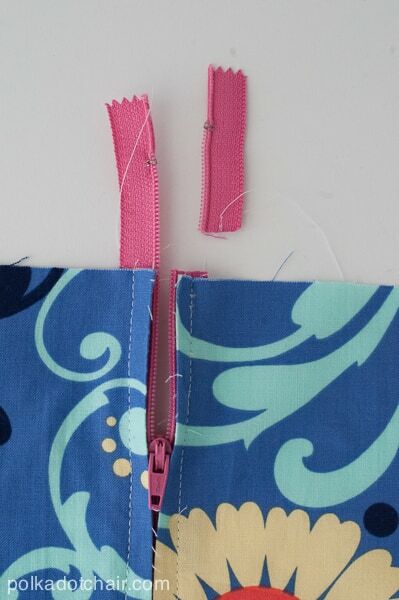 Start with a zipper that is at least 2” larger than the one called for in your pattern. It can be even bigger than that but go for at least 2” longer. 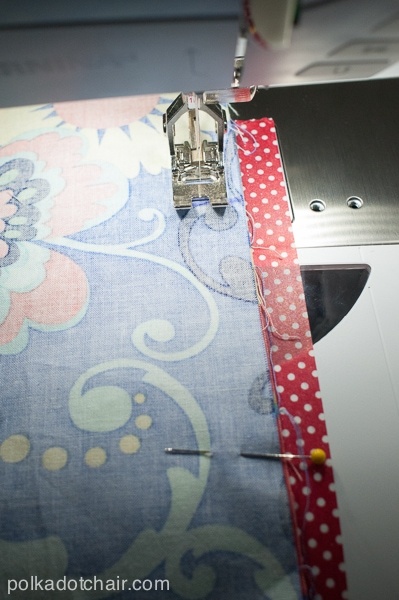 On your sewing machine adjust your stitch length to 6 (or as high as it will go, it might only go to 5). On the 710 it’s super easy, just turn the bottom dial and watch the stitch length get longer, stop when you get to 6. 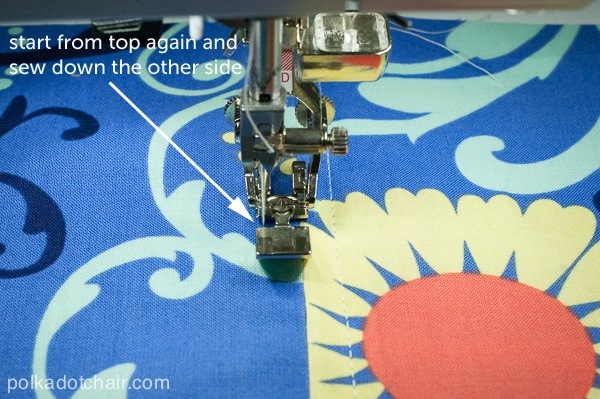 Begin sewing at the top of your skirt, you are basting the seam. When you get to the purple mark where the zipper should stop, change your stitch length back to 2 1/2. 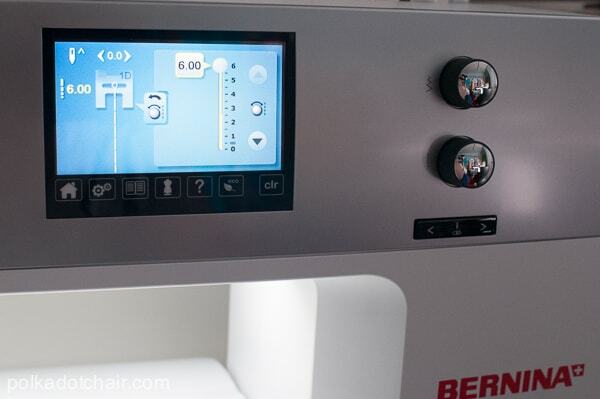 Don’t take your fabric out of the machine, or cut your thread. 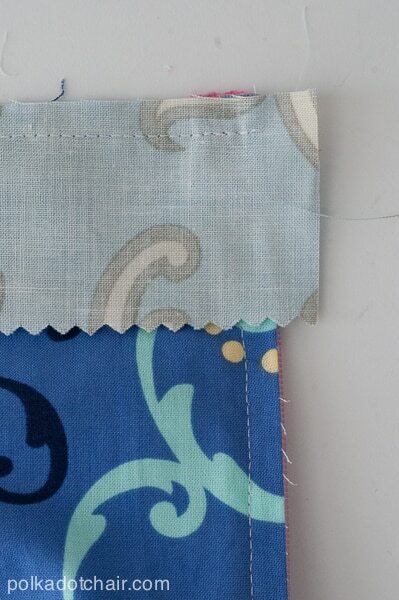 Finish sewing the remainder of the seam with a 2 1/2” stitch length and a 1/2” seam allowance. Stop when you get to the bottom of the skirt. Take your zipper and place it on the seam. Have the top of the zipper at least 1” above the fabric. Mark the top of the fabric on the zipper and the place that the zipper should stop. 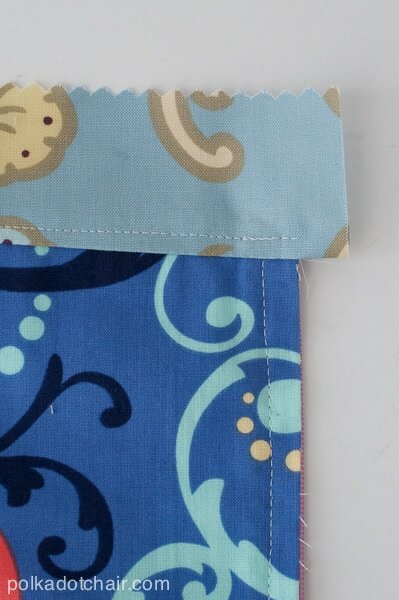 With the right side of the zipper facing the seam, pin one side of the zipper to the edge of the fabric. 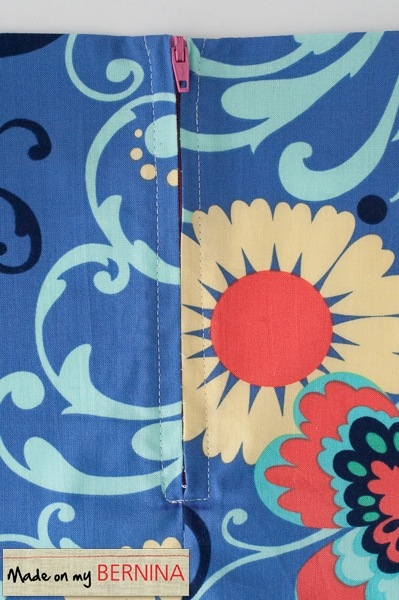 Your zipper is 1/2” wide on each side and your seam allowance is 1/2”, it should match up. Change to a zig-zag stitch. On the 710 I set my stitch width to 4.2 and my length to 3.5. 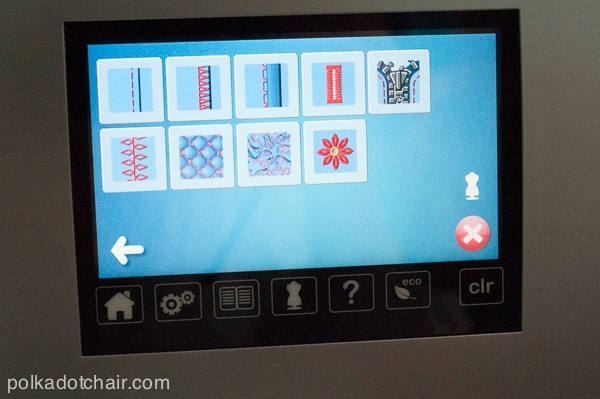 Just find a zig-zag stitch on your machine. Zig-zag the zipper to the seam allowance. Your stitch will go over the edge. 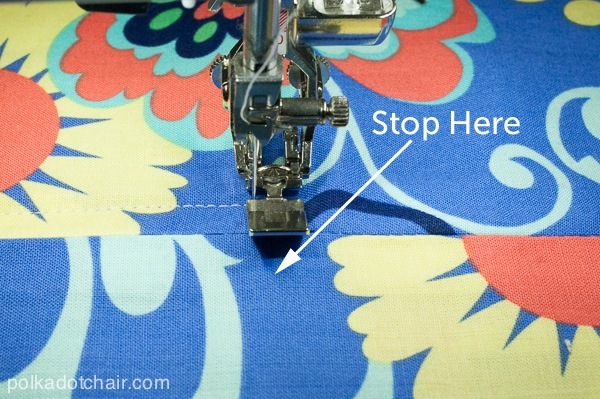 Stop when you get to the mark you made for the zipper stop. It will look like this when you are done. Do the same thing for the other side. Here’s what it will look like. You can see the marks I made for the zipper start and stop points. 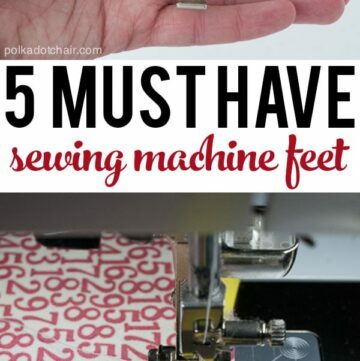 Put the zipper foot on your machine. 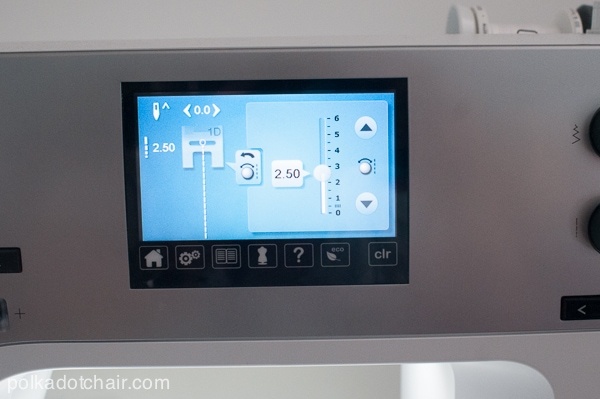 Most all machines come with one. Check your manual if you’re not sure which one it is. On the 710 in the sewing advisor select woven medium, then the zipper. 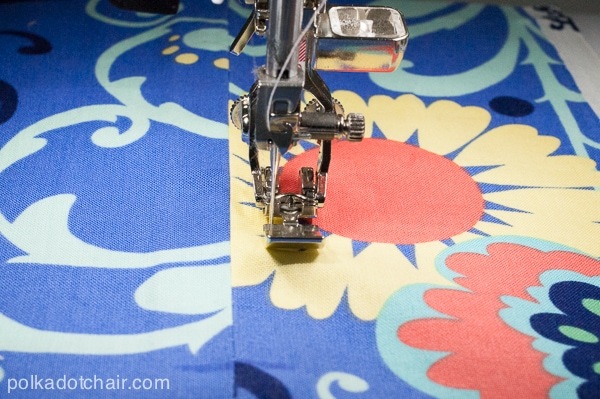 Check on your machine if you need to move your needle over. You don’t want the needle to hit your foot. Starting at the top, sew 3/8” from the seam. I eyeball this, you just want a straight line all the way down, and for it to be the same on both sides. 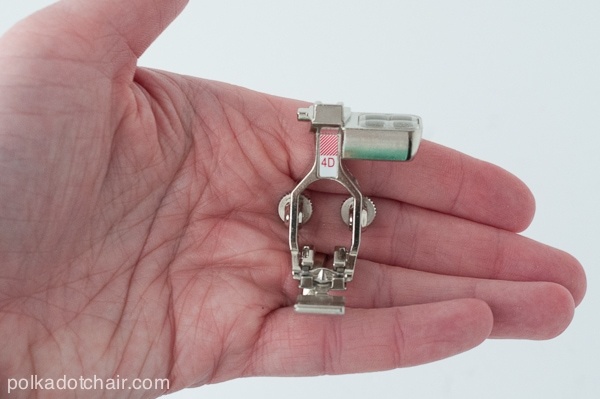 You can use your zipper foot as a width measurement if you like. When you get to the point that your zipper should stop, put your needle down and pivot. 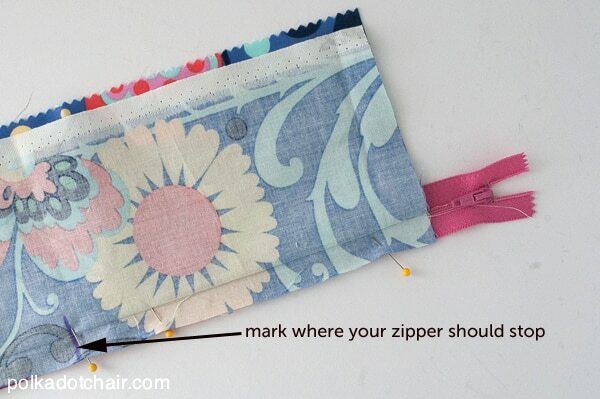 Sew over the zipper (yes you can do that) and stop on the other side of the seam. Do one back stitch. 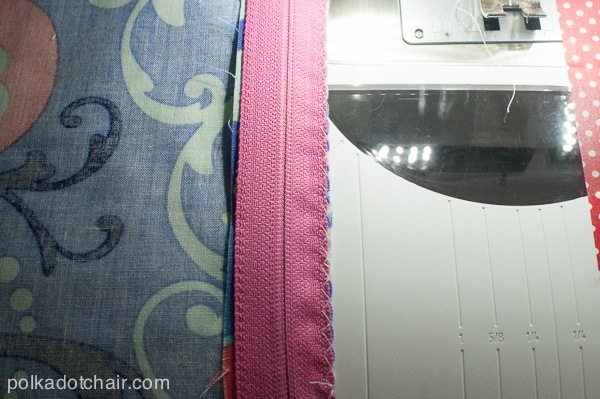 Do NOT pivot and go back up the zipper, your fabric will bunch up. Start again at the top of the zipper on the other side, and sew down until you get to the stopping point. Do one back stitch. It will look like this. Unpick the basting stitches. Now don’t be confused that the zipper is ABOVE the skirt top, we will get to that. Move the zipper pull down so that it’s at least 2” below the skirt top. Now just cut off the zipper ends. Now, if you didn’t put a facing on your skirt, the zipper pull would come right off, not a good thing. Next, let’s put the skirt facing on, and you’ll see how it all comes together. Sew your skirt facing to the skirt, make sure that the facing is at least 1/2” longer than the skirt (usually a facing is interfaced but I skipped that part). 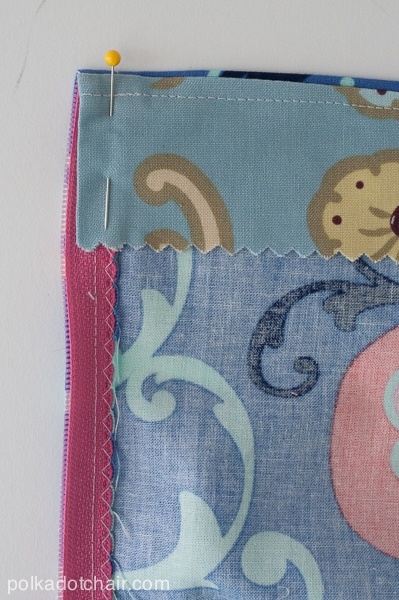 Stop sewing at the edge of the zipper. Press this seam up. 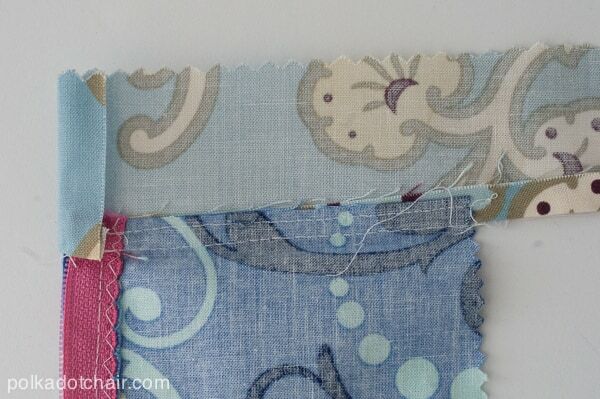 Sew a “stitch in the ditch” 1/4” up from the seam. This will keep your waistband from rolling up. Press under the extra facing fabric. You’re done! Feel free to leave questions in the comment box, I’ll be sure to get them. Great tutorial, Melissa! 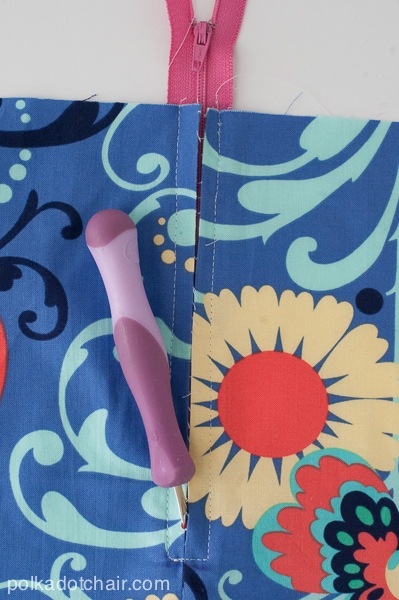 No matter how many times I’ve put in a zipper, I always learn something new from other sewists out there! This is awesome! When I learned this technique I went “oh” I didn’t know there was another way to put in a zipper! 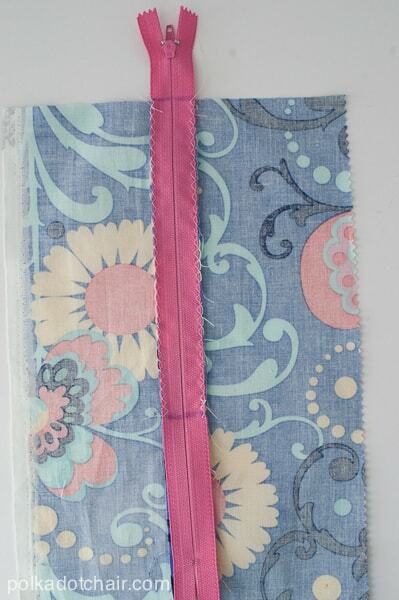 Funny how you can sew for so long and still find new things to learn! Thank you. This is so much easier to keep everything lined up and the pull out of the way. I always had a little curve around the pull. Thank you. This is my first attempt to sew a zipper. I made a search in Pinterest and this was the first result. I have to tell you that this was a great tutorial, for a begginer like myself. Definitely, I’ll be looking for more of your tutorials. Thanks again! Do you cut off the bottom of the zipper or leave all that extra? Sewing across the zipper won’t break your needle if you hit it? Looks easy but I do have these 2 questions!! Yes you just cut off the zipper below the seam. I’ve not had a problem with needles when I sew accross a zipper. This is interesting, I never knew you can cut the top off to make it fit neatly. I’ve always struggled to get the top edges to match evenly, and I would eventually get it right, but this is easier. 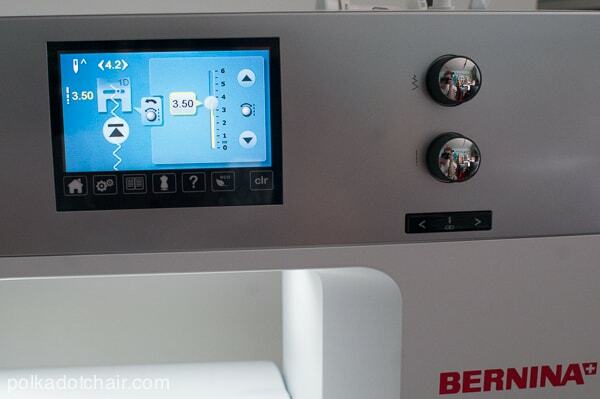 I have sewn a lot of zippers successfully on my Bernina 880. The main reasons for my success is two-fold. I use Wonder Tape (by Collins (a double sided, repositionable, and wash away tape) to hold the zipper. It’s better than pins, which can distort the zipper and fabric. I also use longer zippers than necessary so that I don’t have to move the zipper pull as I sew the seam.It only a few cents more for the longer zipper.